The Short Answer – Fantasy Leagues for Real Money Online are Legal! Is Fantasy Sports Betting Legal in the United States? Wagering real money on fantasy sports online was kind of in the gray area, legally, for many years until the Unlawful Internet Gambling Enforcement Act was passed in 2006. This law made it illegal for banks and other financial institutions to process transactions related to online gambling and online poker in the United States. For online poker players, this day was known as Black Friday and was the day that the biggest online poker room, PokerStars, closed its doors to American players. However, the UIGEA did not make fantasy sports illegal. On the contrary, lawmakers specifically carved out real money fantasy leagues as a game of skill and not luck, and therefore was not gambling. Fantasy sports are games in which participants build teams composed of real-word players and compete against other managers based on statistics that are generated by those players. This pastime began with Rotisserie baseball, which was originally played through mail-based services or by local groups who used the box scores in their daily newspapers. As Internet access became more prevalent in the 1990s, fantasy sports made a seamless transition to the online space. Yahoo was on board early and had a substantial role in shaping the games that are widely available today. In fact, Yahoo helped make fantasy football a success by providing free-to-play services. Due to the popularity of NFL betting in the U.S., the transition from free to pay-for with a chance to win money happened naturally and quite fast. Although large companies like ESPN and the NFL itself have avoided betting and even cash prizes in general, many smaller companies have had great success and have gone largely unchallenged on legal grounds. Fantasy football is a juggernaut, a multi-billion dollar business that is growing every year and has great support from within the NFL and the federal government. Fantasy sports are now a ubiquitous aspect of American culture, and Atlantic City casinos have recently begun offering fantasy sports betting online and at their brick-and-mortar locations. Las Vegas will soon follow. The games will become even more prevalent and diverse in the future, and we will have better ways to access these games in real-time through our phones, televisions and other entertainment devices. Disclaimer: The information that follows is not intended as legal advice. Many of the fantasy sports betting services that currently exist online state emphatically on their websites and in their distributed literature that the activities they host are indeed 100-percent legal. The truth is not nearly so simple, however, and fantasy sports played for real money tend to fall into a gray area that has not yet been fully explored in the federal courts or the courts of the 50 states. The short answer to the question then is that it depends. It is worth noting, however, that the onus of legality has largely been on the service provider. Consider that the major online gambling crackdowns in the U.S. have targeted service providers and not individual online gamblers. In 2006, the U.S. passed the Unlawful Internet Gambling Act as Title VIII of the SAFE Port Act. This legislation set the stage for the first major crackdown against online gambling in the U.S. People were indicted, businesses folded and most major online casinos and poker rooms immediately suspended offering services to U.S. residents and even keeping money in U.S. banks. In other words, the UIGEA changed the landscape of online gambling overnight. The UIGEA, however, may be the closest proof we currently have to explicit legality of fantasy sports betting online. That is because the UIGEA includes an explicit exception for fantasy sports. 1. The value of all prizes is not determined by the fees paid or the number of participants. 2. The outcome must reflect the relative skill and knowledge of all participants and not chance. 3. The fantasy game result must not be based on the final results of any real-world games. Traditional fantasy football and Rotisseries baseball, for instance, meet these criteria, as do the daily and weekly leagues that are offered by pay services like FanDuel and DraftKings. A game has to incorporate all three elements in order to be illegal. Since fantasy sports are, by federal definition, games of skill, that makes nearly all online fantasy sports betting options legal from the federal perspective. However — and this is where it becomes murky — states do not necessarily define chance the same way that the federal government does. In most states, a fantasy sports betting activity is legal if it involves more chance than skill, and this ratio is established via the predominant purpose test. There are states, however, that uses the any chance test instead, which means that if there is any element of chance present then the game is one of chance and not skill. States that use this test include Arizona, Arkansas, Iowa, Louisiana and Tennessee. There are other factors that can change legality of these games as well. In fact, FanDuel was recently involved in a lawsuit where the underlying premise was that the shorter game periods and/or smaller roster sizes offered by FanDuel made its games more likely to be impacted by individual elements of chance and therefore games of chance themselves. FanDuel won this case, but it is worth noting that the court avoided the core issue and instead dismissed the case on grounds that any potential recovery amount did not meet the threshold necessary to be considered in a federal court. For those of who enjoy fantasy sports betting online, the future is bright. The cultural view of gambling is undergoing great change in the U.S., and that change is reflected in recent government behavior. The federal government is opting to take a very hands-off approach now and practically relinquishing total control to the states. States like Nevada and New Jersey have already passed laws to make online gambling, including casinos and poker rooms, legal. If those experiments are successes, it is likely that many other states will follow suit as they look for new ways expand their budgets. 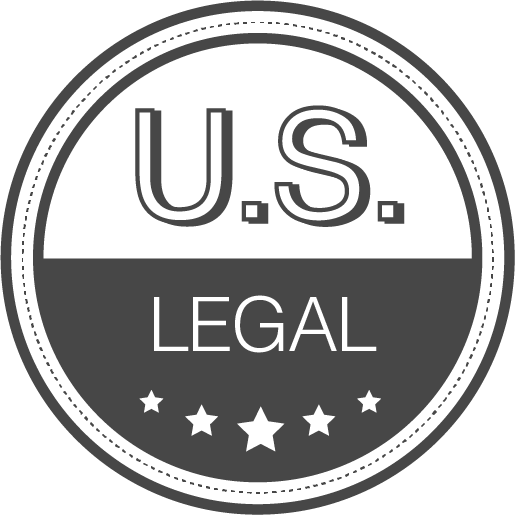 The fantasy leagues we promote on this site are real, legitimate companies based in the US and are considered legal to most residents of the United States and Canada!